Ealing Council are proposing changes to their council tax support scheme which will see significant reductions in the amount of funding given to low income households. 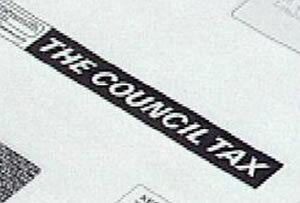 The scheme was introduced in 2013 to help people pay their council tax after the government abolished the national council tax benefit system. Each council was required to develop its own scheme, but now the funding passed onto councils by the government has been reduced by 10 per cent. Councils were also told they had to protect pensioners from any changes to their benefit, so Ealing Council say there is less money to go around working-age households. The scheme in Ealing has remained unchanged for three years, despite total funding cuts across the council since the start of the decade which they say are expected to total £183m by 2019. Now the council is proposing to change the scheme to reduce the total cost with the aim of continuing to provide support to the most vulnerable residents. In Ealing the council say they have based their scheme on a set of key principles, which includes creating the right incentives to get more people into work, protecting the most vulnerable, and being fair to the taxpayer and to those claiming benefits. Residents are now being asked what they think of five possible options for changing the scheme, with each option affecting different groups of council tax support recipients. The council wants as many people as possible to respond to the consultation and is particularly keen to hear from those who will be directly affected. The consultation is available at www.ealing.gov.uk/consultation and residents have until 27 September to give their responses. The results of the consultation will be reported to the council’s cabinet in December. The final decision on which option to adopt is due to be made at a meeting of the full council early next year and if agreed the new scheme will be adopted in April 2016.